In the KOA lounge I met a horse proud black preteen cowboy wearing jingle jangley spurs. He told me about his quarterhorse and I told him about the time I fell off a small pony and broke my arm. Outside at a picnic table, I met the old dudes walking their tiny dogs. They love hearing about the hiking and I love petting the doggies. Mostly I’m a cat person but really I am fine with just about any animal. If it doesn’t bite too much, I’ll pet it. I kept meaning to walk the ten miles to Agua Dulce but it was so dang hot. I bought a lot of junk food from the KOA store. Finally I got moving around 3. The country here is sort of barren. There are no trees, just hot brown shadeless land and scrub brush. I trudged along for a few hours, then found some shade where I sat down and ate most of my remaining food. It’s that weird thing that happens when I am walking along in the heat. I won’t even be hungry, but all of a sudden, I’m sitting in the dirt in a tiny patch of shade, eating whatever food I can grab. I heard this campfood recipe on the podcast from the Trek. Tuna packet mixed with crushed up chips. It is super delicious with bbq chips. 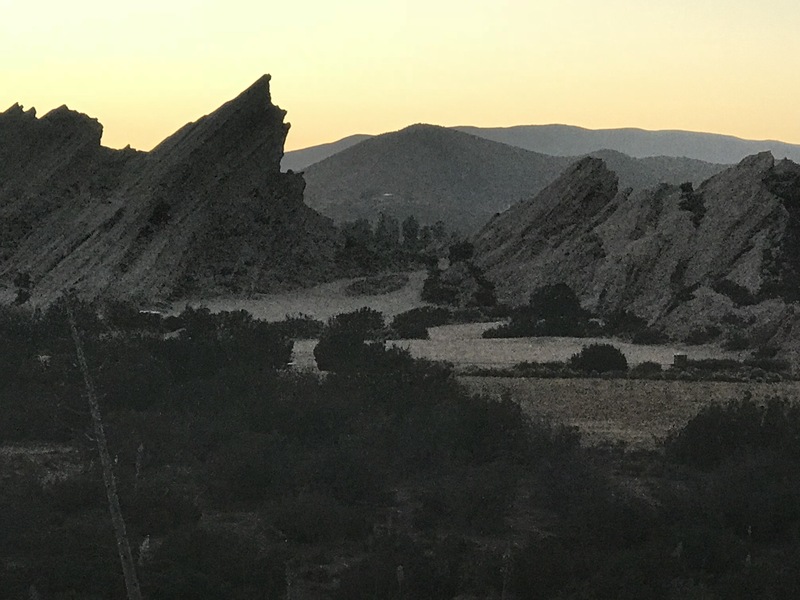 ﻿I got to Vasquez Rocks around sunset, set of many an old film. It definitely brought back memories of watching Star Trek at my babysitters’ houses. I walked through around sunset, when it was finally cooling down. 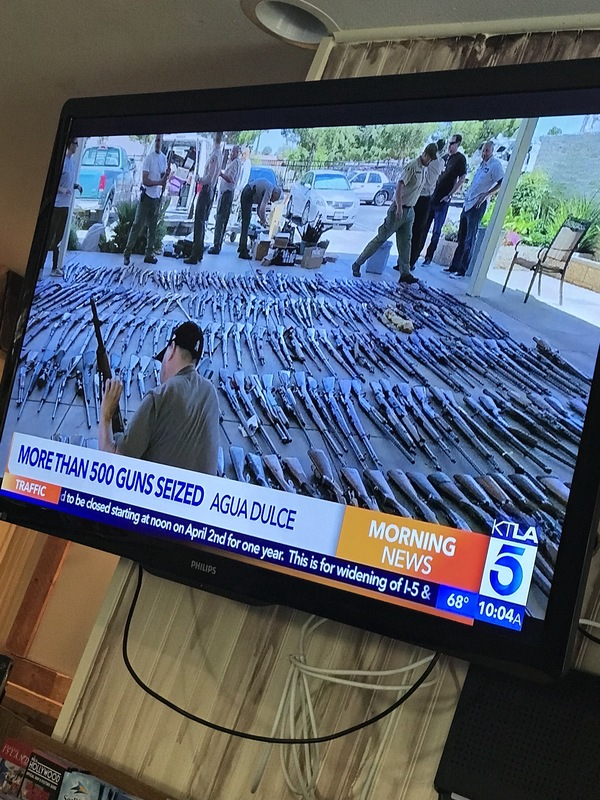 I got into Agua Dulce just as the grocery store shut down. It was too late to get a ride so I walked the final mile to Hiker Heaven. Agua Dulce smells like alfalfa. And horses. Speaking of horses… I am currently camped next to a corral and there is a very noisy horse stomping around! How are all these hikers supposed to sleep? Also, I know there are chickens here. I haven’t seen them yet but I heard some sleepy clucks nearby when I was setting up my tent. You can make a walking taco with a small bag of tortilla chips, cut bag sideways and pour in beans, etc. I’m enjoying your hike.